If you haven't checked them out, here's a bunch of audio from the video interviews I did on the floor at the Chicago Comicon. All big name guests that can't wait for my slowness is posting the video New stuff with Edward James Olmos, George Perez and Jason Aaron,plus Mark Millar, Dan Slott and Howard Chaykin. First I wanted to say that stopping by to see George Perez was on of the highlights of the con for me. I also loved him as an emcee for the masquerade. Anyways, if you would like them here are the pictures my friend took of me in my Wonder Girl costume with George. http://twitpic.com/gvvcm - . @Luthor1 George Perez, my sketch, and me. Saturday was an interesting day at the convention as Deb and I largely followed different paths. I tried to attend one panel, only to discover it had been moved to Monday so we wound up checking out the dealer’s rooms together for a bit. Our evening was spent with the Davids, and a few dozen of their friends, during their annual rib and chicken dinner. I had a chance to catch up with George Perez and meet new friends. Once George and Peter headed down to emcee the masquerade, the rest of us settled in to watch from the room. Having master costumers like Kath and Marty Gear on hand offer instant opinions and critiques, it was like having the director’s commentary to a great film. There were many wonderful costumes, several marred by bad presentations, but we were overall very impressed. Just a bright piece of news. Of course other may know this already but just sharing anyway. A couple of members from our sm/ww archive were at Dragon Con on Sat and they met George Perez. Of course they were in heaven meeting the man whose WW they loved. But he did mention that he is planning to do a one shot with Gail [Simone]. He is trying to work it into his very busy schedule. So that's great news I think. http://twitpic.com/gdz93 - DragonCon Thursday pic 2: George Perez shows off some of his so-called "talent". Sheesh. 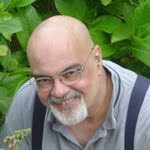 George Perez has been accepted into the Directory and Search Engine RPGSeek.com. Description: This is the official website for George Perez, well-known comics writer and illustrator. George Pérez is an illustrator and writer of comic books born of Latin-American (Puerto-Rican) descent. Along with John Byrne, he was arguably the most popular and influential artist in American comic books in the 1980s. 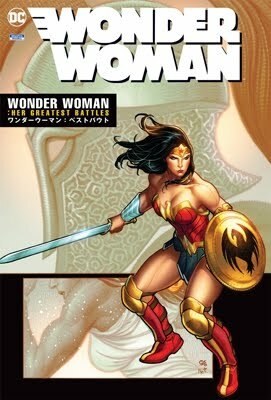 He primarily illustrates superhero comics, mainly published by DC Comics and Marvel Comics, and is known for his clean, dynamic, yet ornate style, with a strong emphasis on group superhero action scenes. Pérez's early work included Sons of the Tiger (a serialized action-adventure strip published in Marvel's long-running Deadly Hands of Kung Fu magazine and authored by prolific comics writer Bill Mantlo. He and Mantlo co-created the White Tiger, a character that soon appeared in Marvel's color comics, most notably, the Spider-Man titles. Pérez came to prominence when he started illustrating The Avengers for Marvel Comics, starting with vol. 1 #141. His early style seemed very much influenced by Jack Kirby, one of Marvel's leading creators from the 1960s, albeit with more realistic anatomy and a penchant for making his worlds seem bright and beautiful. In the 1970s, Pérez illustrated several other Marvel books, including Fantastic Four, where he began working with Marv Wolfman, and Creatures on the Loose featuring the Man-Wolf.